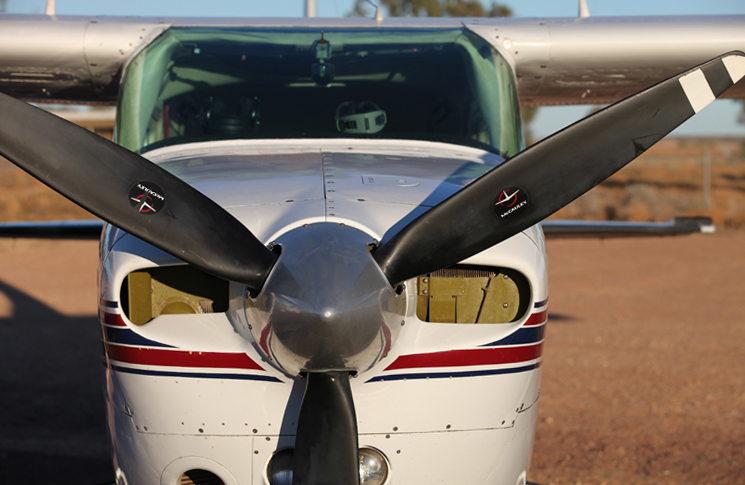 It had been a picture perfect day when I set off from Brisbane on a solo navex out west in a Cessna 206. After making it out to Moonie oil fields, I was returning via Warwick with a little under half tanks of fuel when I noticed a thick band of clouds over the ranges. After trying to make it over the top but being unsure of a gap to get back through, I set out to fly underneath. Soon I was crawling underneath the clouds and weaving through the ranges, with a few turnarounds required due to dwindling visibility. I decided to track south where it appeared to be clearer. There I ended up squeezing through a gap in the cloud to make it out over Casino. I overflew Casino, noting that my fuel was getting quite low due to the time spent flying in circles trying to make my way over the ranges. I began monitoring it closely, glad I had kept an accurate fuel log for the initial part of the flight. However, the cloud was even thicker as I tried flying north towards Kyogle, and after checking NAIPS I noticed the area forecast (ARFOR) forecasting deteriorating conditions coming in from the east. A quick look at the radar on the Bureau of Meteorology site showed a band of showers stretching from south of Ballina to just north of Brisbane. I decided to land at Casino and formulate a plan of attack. Refuelling at Lismore was not an option as it was still under water from the floods the week before, so I had to conserve as much fuel as possible to return to Brisbane. After calling my flight school for some extra advice, I decided to wait out the poor weather in Casino, then continue up along the coast once the showers to the east had moved past. After an hour and a half of replanning and submitting a new flight plan to enter Gold Coast airspace, I dipped my tanks and set off again, well aware of the necessity to reduce fuel consumption as much as possible due to the tanks now reading a quarter full. I tracked east and contacted Brisbane Centre for a code and clearance; however, due to the weather they were having difficulty identifying me, and as I flew low level through Nimbin TV towers, the terrain shielding prevented continuous communication. Coming out towards the east, the weather was not much better, but after obtaining a clearance, I was able to track via the western VFR route up to Brisbane, where the weather began to clear. Looking back on it, I can now see how close I was to busting VMC, and realise how much safer it would have been to request special VFR approaching the TV towers. After landing, I dipped the tanks and noticed that I had landed with 50 litres remaining. Uh oh. With the 206 burning 60 litres/hour, that meant I had been five minutes off needing to declare an emergency. In my initial fuel plan, I had not subtracted the 45 minute fixed reserve, and was therefore planning on burning all fuel in the tanks, including the unusable reserves. This was a massive wake-up call to me, as in flight I hadn’t even considered the requirement to make an emergency call due to fuel starvation, and would have blithely gone on to break the law by landing with less than 45 minutes remaining. It highlighted the importance of subtracting the fixed reserve from the initial fuel plan, as I would have been much more aware of how close I was entering emergency territory. This incident didn’t contain any engine failures, gear failures or unexpected parts flying off mid-flight, but it could have been a very real emergency if I hadn’t pushed through marginal conditions and, luckily, landed with the remaining fuel I had on board. An inaccurate fuel log and an extra five minutes of flying would have meant a whole world of paperwork, not to mention the inconvenience to ATC trying to direct a pre-CPL pilot who had inadvertently flown into fuel starvation to the nearest airport to refuel. Keeping an accurate fuel log is crucial. You never know when you might need an extra few litres, especially on the coast where the ARFOR can go from perfect to poor in the space of three hours. Also, never be afraid to ask for help. Instructors are there for a reason and my instructor provided well-needed, clear-headed advice to a very stressed pilot. , just don’t plan on using it. An interesting question I have asked many over the years, and have not received a satisfactory answer is… when is it legal to use the fixed reserve of fuel? …anytime you see fit. ALL rules go out the window when you declare a Mayday which is what you would do if you where into yr mandatory fixed res. Firstly, it is rare that forecasters completely miss a weather event such as that described so did the pilot properly study the forecast? I also have to wonder why the pilot did not fill the tanks at Casino given the bad weather, acknowledgement of low fuel and the necessity to reduce consumption. Did his flight school not advise him to fill up? Thanks for posting this incident as it helps us all to reflect on our own judgement under pressure.